Theresa M. Sewell, CPA/ABV - Brueggeman Johnson and Yeanoplos P.C. 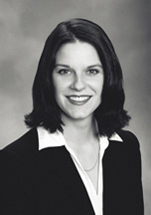 Theresa Sewell is a financial analyst for Brueggeman and Johnson Yeanoplos, P.C. For over eighteen years she has completed valuations and financial analyses for a variety of purposes, including divorce and other litigations, gift and estate taxes, and mergers and acquisitions. Ms. Sewell has experience working in a variety of industries, including construction companies, commercial fishing, manufacturing, retailing, as well as professional services such as law firms and medical and dental practices. Ms. Sewell is a graduate of Central Washington University where she received a Bachelor of Science degree in Accounting and a Master of Professional Accounting. She is a member of the American Institute of Certified Public Accountants, the AICPA Forensic and Valuation Services Section, and the Washington Society of Public Accountants.